I really appreciate that Dr. Baek does the cleaning and exam herself. It is very rare that you find a Doctor that you’re 100% satisfied with, so if you can manage in becoming a patient of Dr. Hannah Baek’s, that’s exactly what you’ll experience. Has to be the best dentist I’ve ever visited and will not go anywhere else. Her staff is also superb. Fast, great, the best dentist I've ever had! Dr. Baek always makes the procedures as painless and pleasant as possible. Dr Baek is the best! 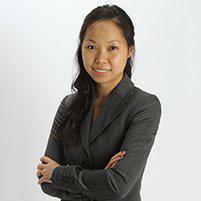 Dr. Baek is easy to talk to about my concerns and always does a great job! Period maintenance is more pleasant with Dr. Baek than I’ve ever experienced. Plus she is Always on time! I travel from Glen Ellyn because Dr Baek is the best! Dr Baek is amazing. Our family all go to see her. Our son first saw her when he was 4. Couldn’t imagine going to see anyone else! I just had my first visit with Dr. Baek. She was friendly and professional. It is very easy to schedule appointments and fill out necessary paperwork on-line which helps things run smoothly and efficiently once you are at the office. I didn't have to wait long. Dr. Baek was gentle and did an excellent job cleaning my teeth. All the staff were very friendly. I would recommend Dr. Baek to anyone!